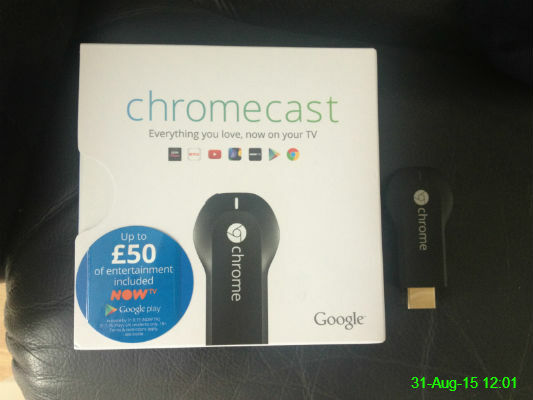 We bought this for streaming TV shows, music etc through the TV. It's not all set up yet, but hopefully when it is Michael will demonstrate patience when he shows me how to use it! 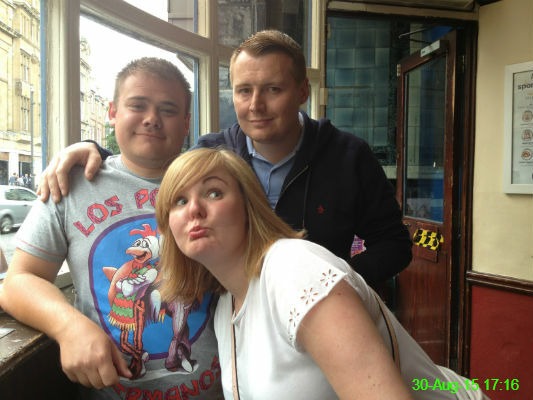 I had a few Bank Holiday Sunday drinks in town with Michael, James and Nicole. The Rose & Crown was one of several extremely classy bars we visited. More FA Cup action today. I'm seeing a pattern develop as the home teams keep winning the matches we go to watch! 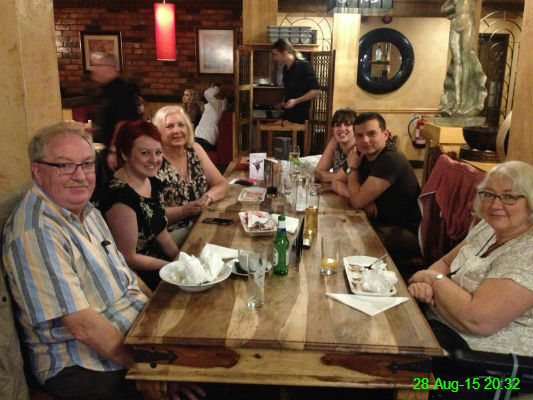 We had a lovely family meal at Luciano's to celebrate Auntie Sue's birthday. Pictured left to right are Chris, Ali, Sue, Sophie, Nass, (my empty seat) and Mam. It was an excellent evening! 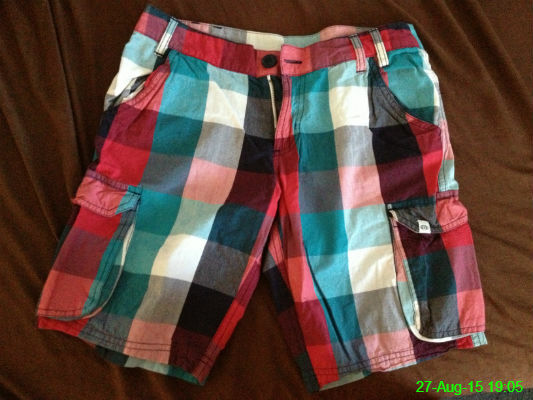 Here's the other item I bought in the Animal sale: a snazzy pair of shorts. 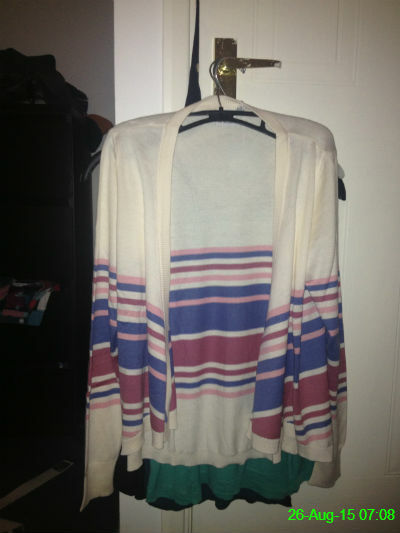 I probably shouldn't be wearing such things now that I'm 30, but I'm not entirely certain I care. 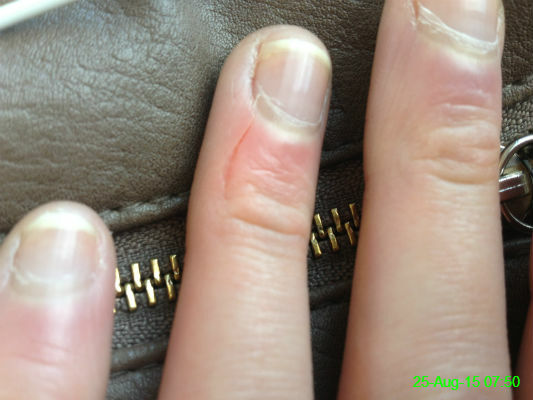 I was surprised to notice this cut on my finger this morning since I have no idea how it happened! 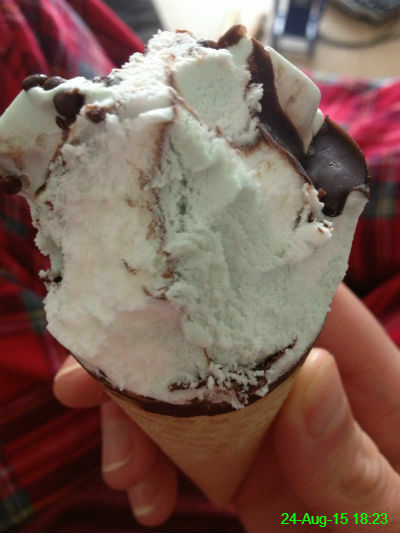 My soup was very warm so I had to cool down with an ice cream cone. I'm certain I've taken almost this exact photo before, but I'm too lazy to check and find something else to shoot today. 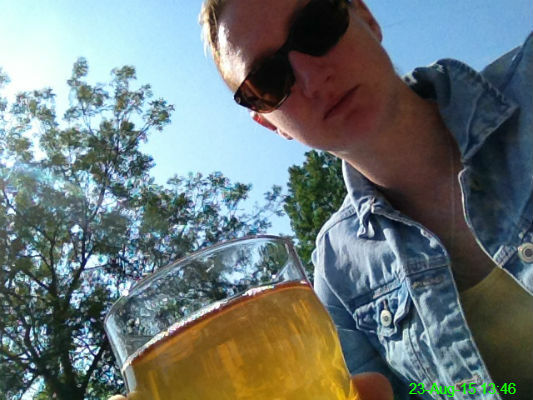 A 7 mile walk turned into a few drinks in the Cumberland at Ouseburn, starting with this pint of cider. 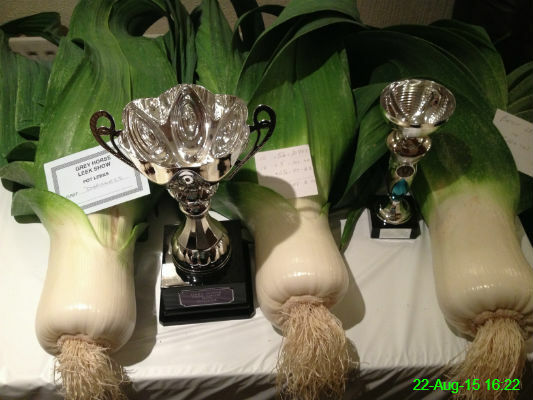 It was Leek Show weekend at the Grey Horse and these were the winning efforts. 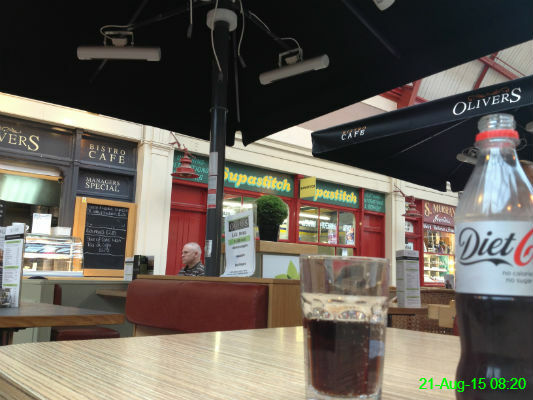 I was early for work so it was a great opportunity to sit at Oliver's Bistro Cafe and watch the world go by. It was too warm for a hot chocolate so it had to be a diet coke today. 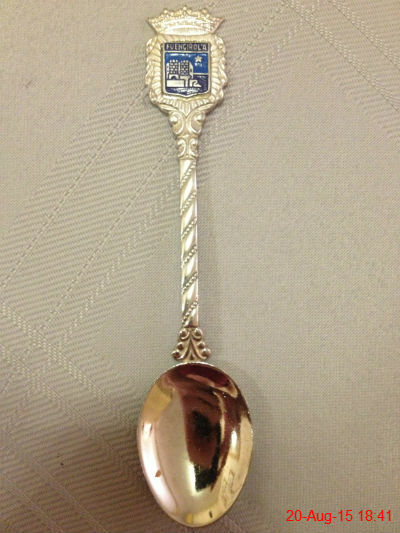 As this spoon says Fuengirola we must have brought it back from our family holiday there but neither me or Mam can recall doing so. 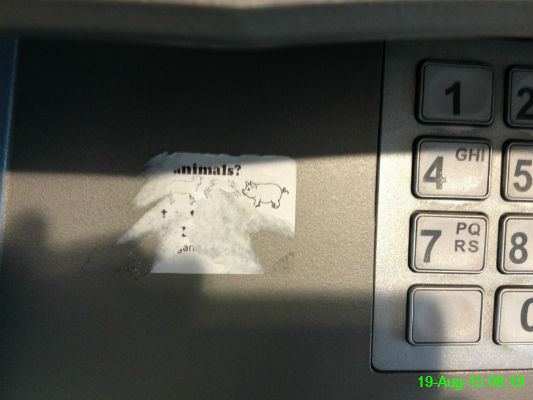 It certainly looks like a pig to me, and several other animals that I can't quite make out. 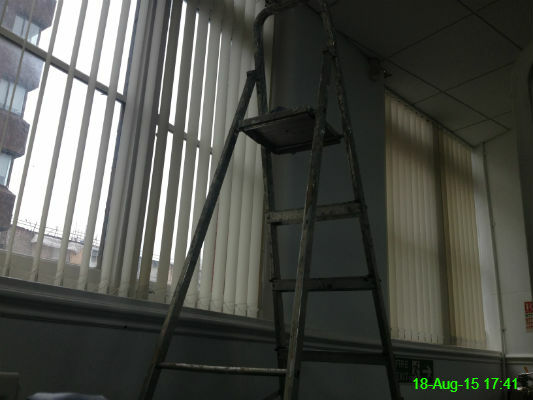 There was a ladder in the gym. Very little else happened today. 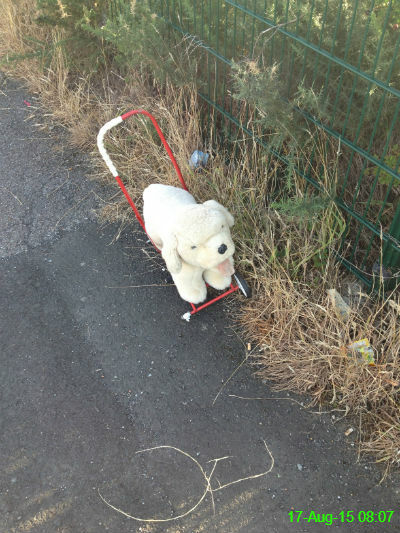 The overly sensitive part of me was so sad to have to walk past this abandoned toy without stopping to rescue it. Especially when I noticed that one of the wheels of his trolley had fallen off. 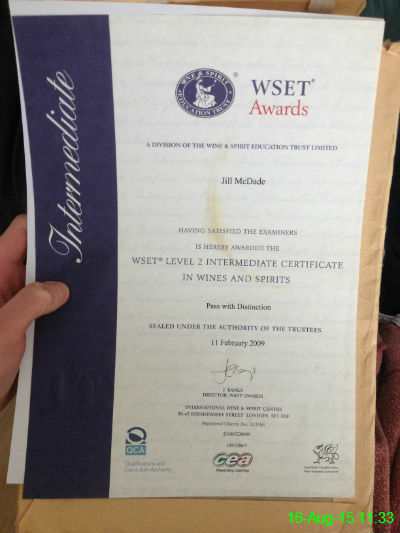 I recently mentioned to some of the girls from work that I had been to wine school and even had a qualification. They were surprised to hear this was possible, so I dug out my certificate as evidence. 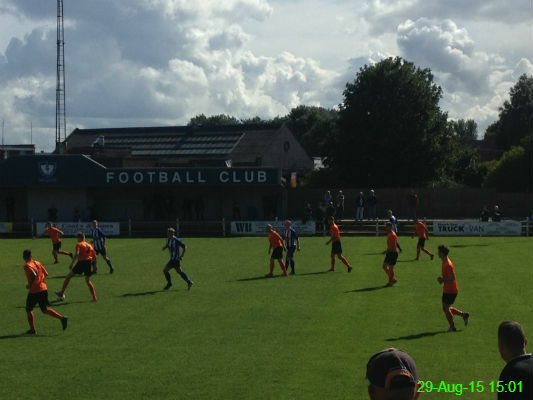 My second live match of the season was an FA Cup game at Heaton Stannington. 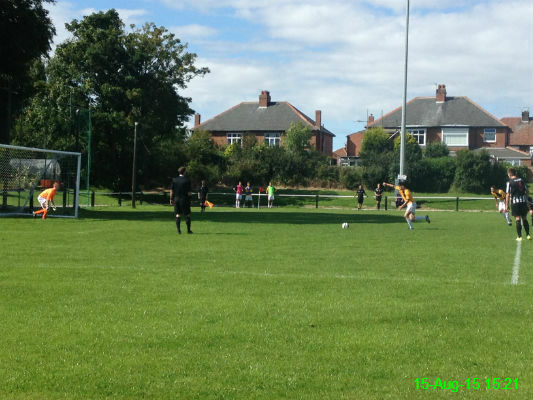 This penalty for the away team could have changed everything, but it was missed so Heaton Stannington went on to win and progress to the next round. 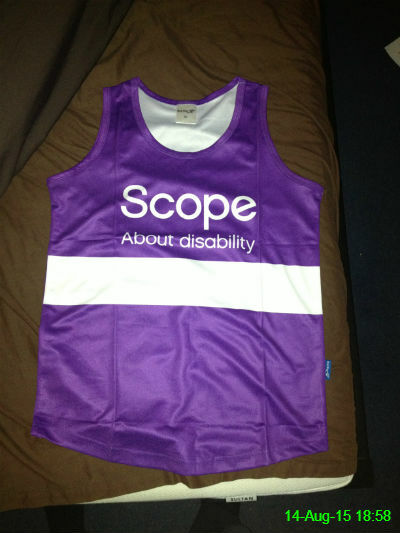 My charity vest for the Great North Run has also arrived and it's a perfect fit! 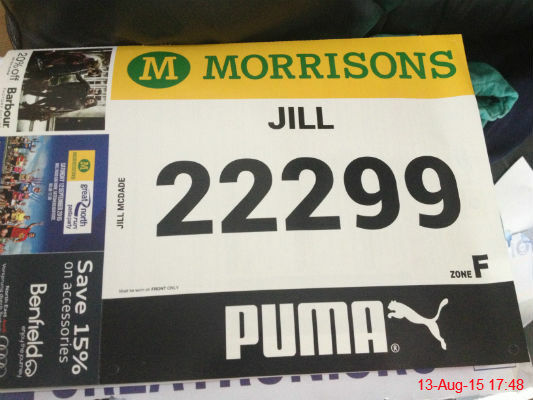 My number for the 2015 Great North Run has arrived. I've been placed into white zone F but I will be starting right at the back in pink zone K with my sister this year and I have to say I'm feeling far more enthusiastic about that than I would be for attempting a personal best with minimal training! 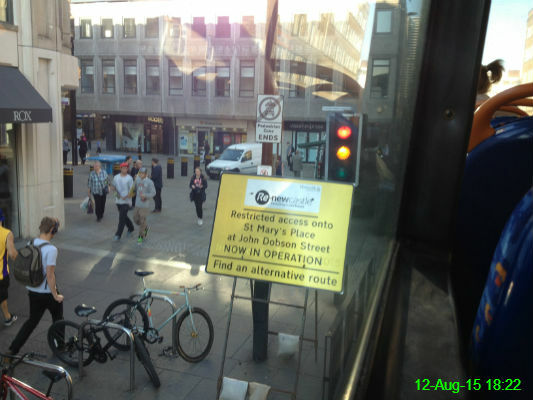 I had a lovely, clear and boring photo of this "restricted access" sign lined up, but the bus moved so now it's blurry and boring. I managed to avoid these during my walk home from work. 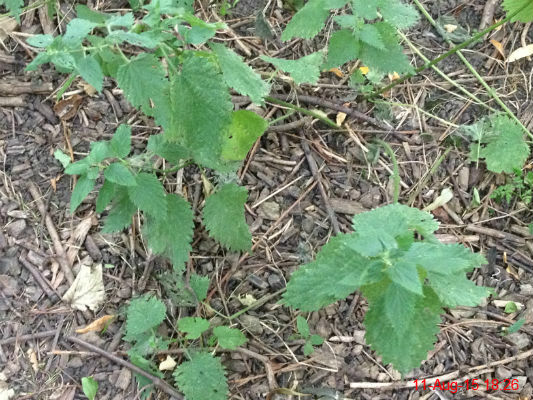 I got enough nettle stings as a child to last a lifetime. 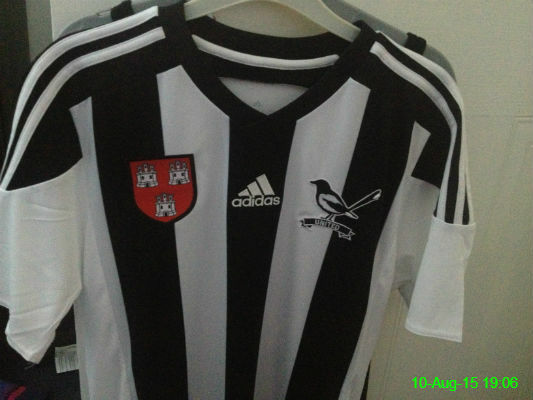 I have no interest in buying a Newcastle shirt sponsored by Wonga so I grabbed one of these alternative options as soon as they were released recently. Jill 32 on the back, of course! 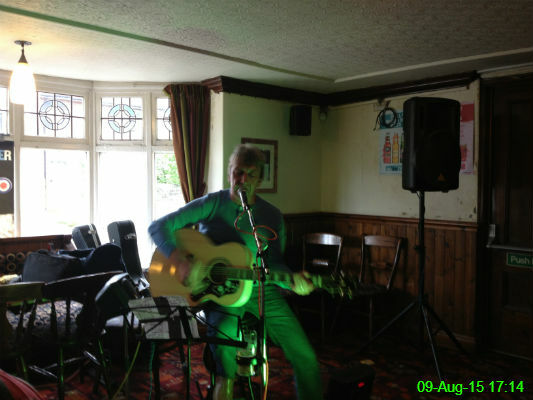 It feels like ages since I watched any live music so it was great to catch this set of Paul Weller/The Jam covers at the Benton Ale House. 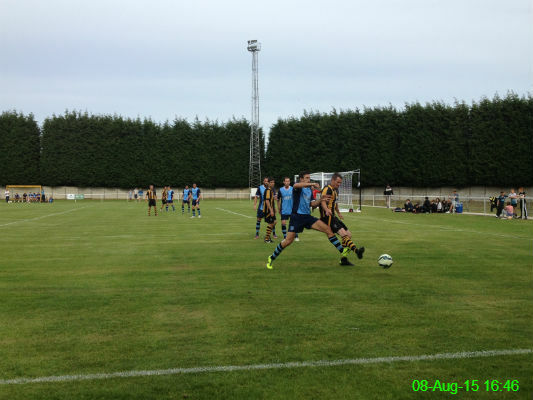 We went to Morpeth for the day and watched our first live football match of the season, which was an entertaining home win. I think it's safe to say this was the first time I've ever spent a Friday morning polishing the family silver. 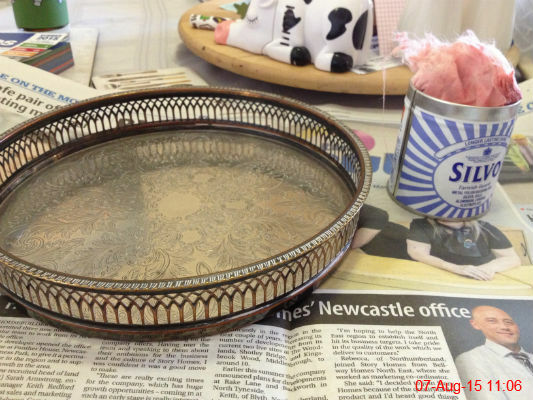 I spent a good hour on this tray and it still looked... well, not particularly silver. It was a surprisingly therapeutic way to spend time though! 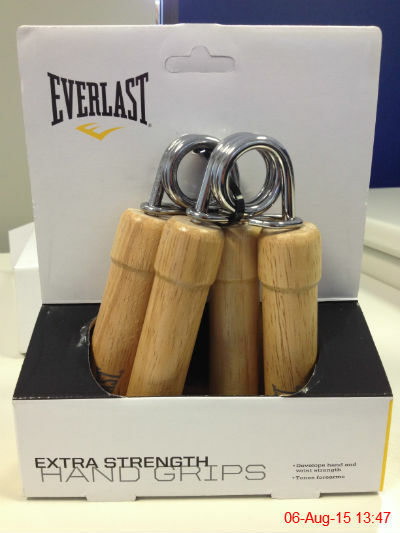 I often feel like I have a weak grip, both in and out of the gym, so I bought these to try and build it up a little. 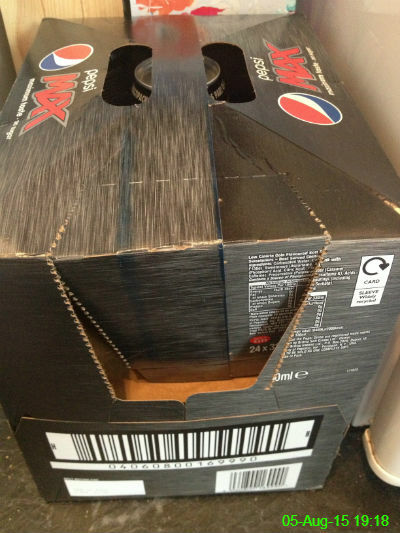 I make no attempt to hide my Pepsi Max addiction and so I certainly couldn't resist this bargain: 24 cans for � I left some of them at work and brought the rest home to use as supplies for picnics, walks and any other occasions where a caffeine boost is needed. 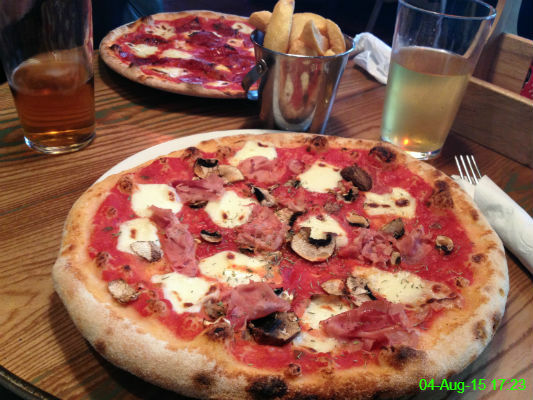 I've been hearing about the pizzas in Dat Bar for a while now so we decided to go there for Restaurant Week as they were doing two pizzas for �. They didn't disappoint and my ginger flavoured Thistly Cross cider was delicious as well. My only disappointment was that my happiness on seeing a serrated knife to cut my pizza was short lived as it turned out to be just as useless as the standard sort of knife you usually get in pizza places! 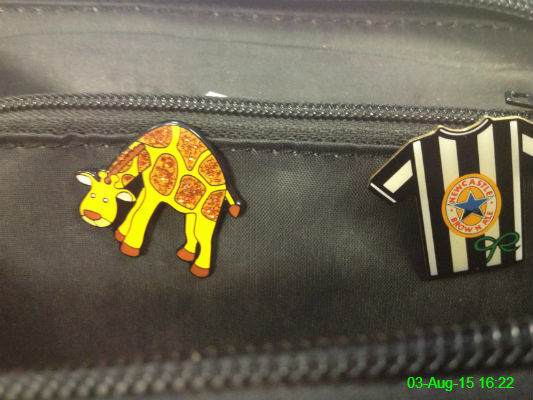 These badges show two of my favourite things: giraffes and Newcastle United. Unfortunately the backs of them are missing so I keep pricking myself when reaching into my purse! 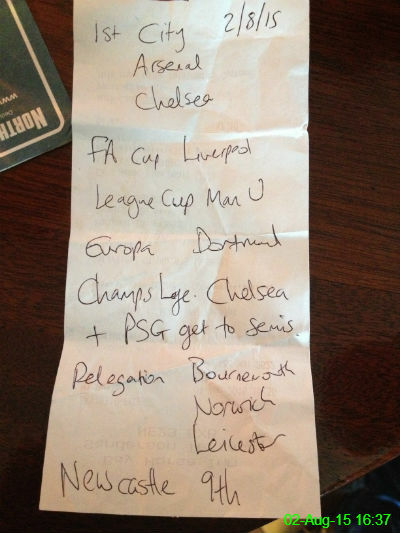 As the new Premier League season approaches, I wrote down Michael's predictions so we can laugh at how bad they were at a later date. 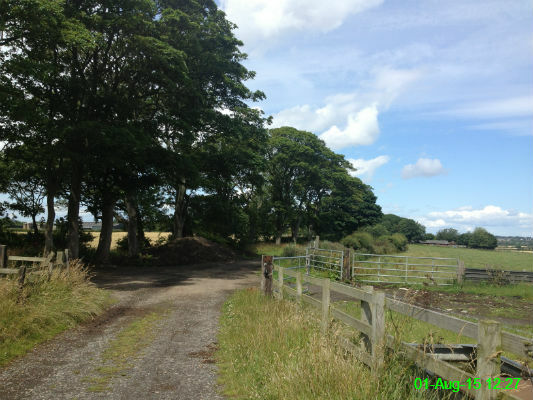 We went for a walk to Cramlington and back. Since a lot of it was along main roads, this was one of the more scenic parts.